Have you been thinking or planning about how to start, grow or make your business flourishes in the current technologically-developing competitive market in Nigeria and beyond? Then here is the opportunity to achieve your dream, apply for the ongoing 2017 YouWiN! 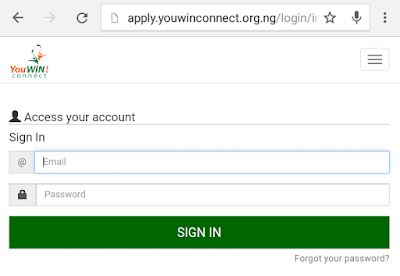 Connect Enterprise Education registration process FREE of charge to get an opportune access to the Federal government support for your business without any delay once you are selected. YouWiN! 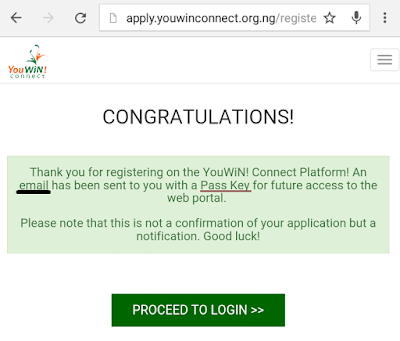 Connect (an acronym for Youth Enterprise with Innovation in Nigeria) is a multimedia based relaunch of the YouWiN! Programme of the Federal Ministry of Finance, with the aim to support young Nigeria entrepreneurs as they plan, start and grow their businesses, by providing Enterprise Education as well as access to technical and consulting services. The programme aims to promote entrepreneurship, job creation and wealth via enterprise education for young Nigerians. It is an opportunity for Nigerian entrepreneurs to enhance their productivity through relevant SME development tools. NOTE: Previous YouWiN awardees are not eligible to apply. 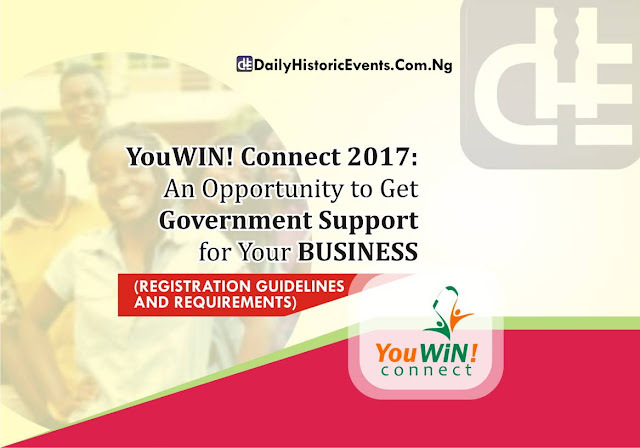 If you know that you are interested and qualified for this programme, quickly click here to participate in the YouWIN! Connect Enterprise. 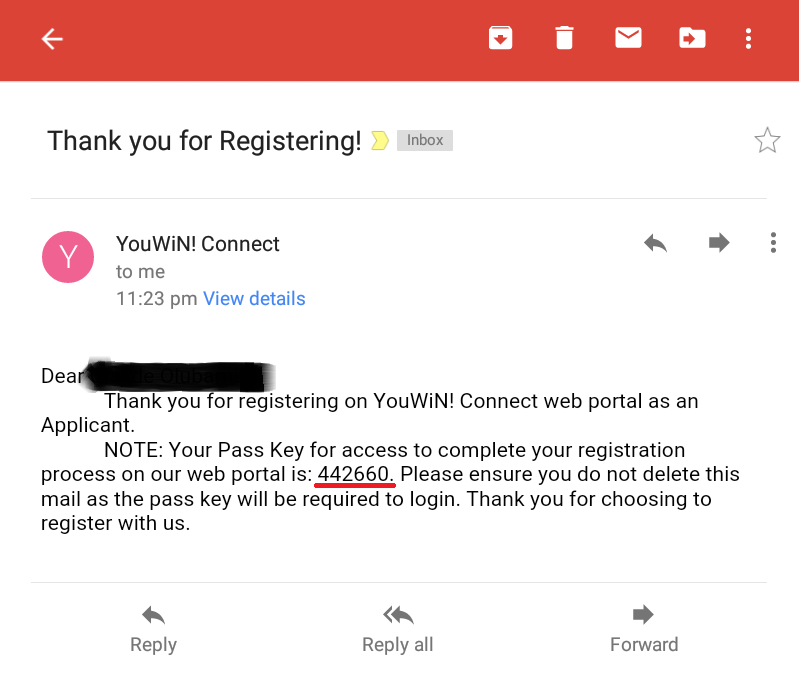 Or sign in to your YouWIN! Connect Enterprise profile to access your application. * Provide your First name, Middle name, Surname and Email address [Please use only Email address you know its password and can access immediately. 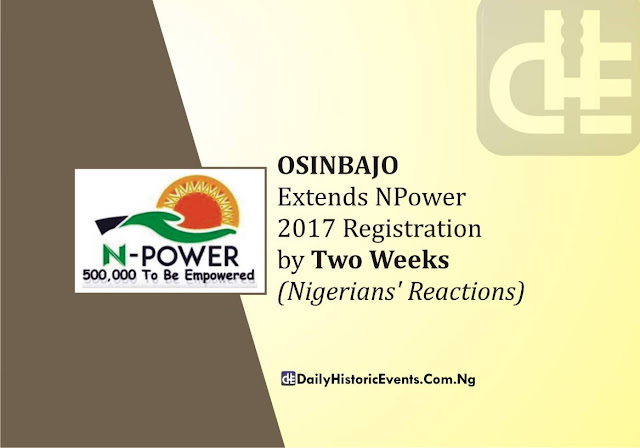 If you don’t have one, click on the Email Provider’s link either Gmail or Yahoo mail to register]. * Answer the short simple question (such as 8 + 3, 0 + 7, etc.) in the provided field. * Now, open another new browser tab to login to your Gmail or Yahoo mail address. 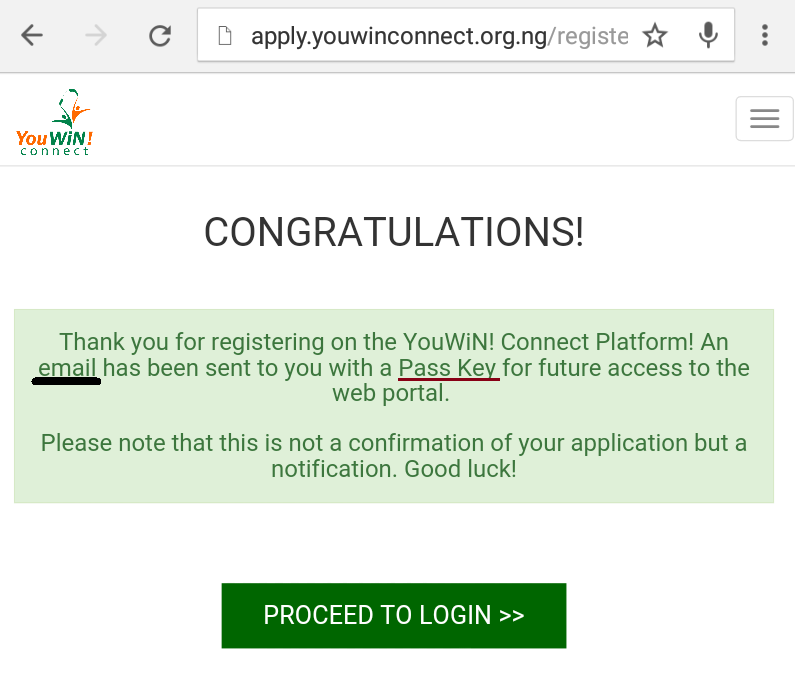 * Then, go back to the former browser tab to click “Proceed to Login” to continue your registration process as shown in the congratulatory message image. * Enter your formerly-used email address and use the 6-digit Pass Key sent to your email address earlier as your Password. 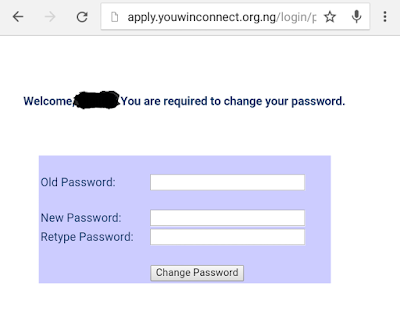 * Now, provide the 6-digit Pass Key as the OLD Password and enter the NEW Password you are willing to be using as your LOGIN Password. 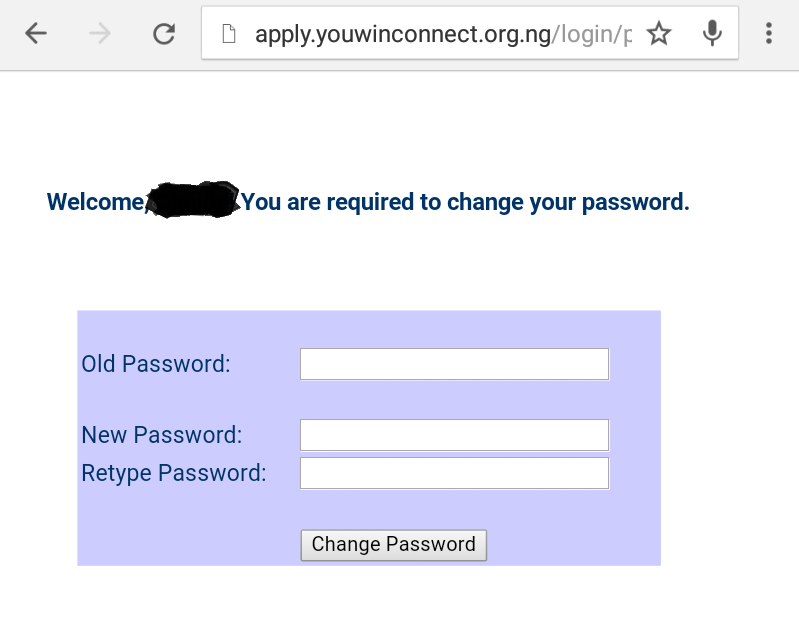 * Retype the new password entered to confirm its correctness and validity. * CONTINUE the application process by providing all the information required such as your Personal information, Business information, Business needs and other business related information. * And other business-related questions. 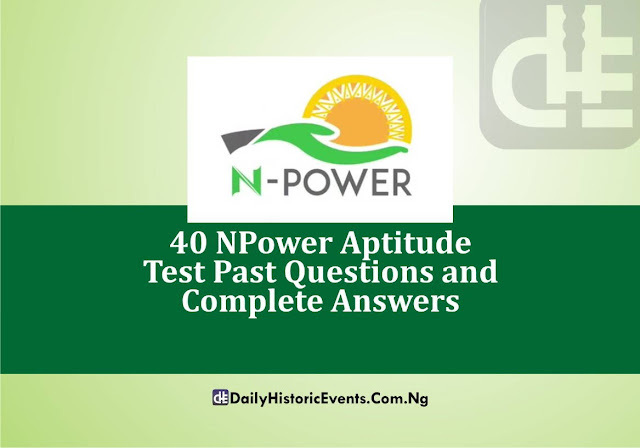 In conclusion, if you don’t have any of the above mentioned information you can save your application by clicking SAVE only (not SAVE AND CONTINUE) and continue at a later date as long as it is before the deadline for submission. 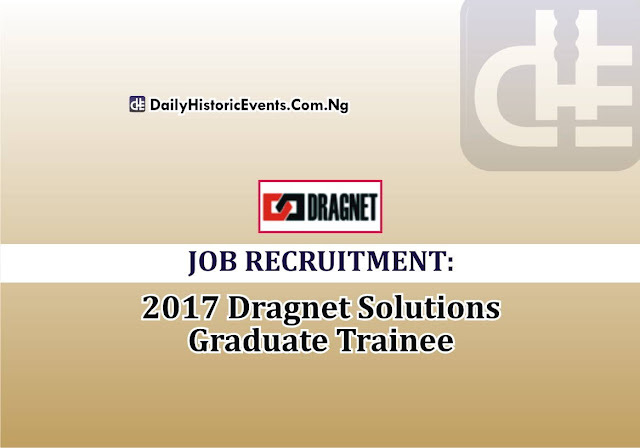 APPLICATION DEADLINE: Wednesday 30th August, 2017.